The Smallfoot movie is out now to own on digital download, 3D Blu-ray, Blu-ray and DVD from all good retailers and online. Smallfoot is a 2018 American 3D computer-animated musical comedy film produced by Warner Animation Group. 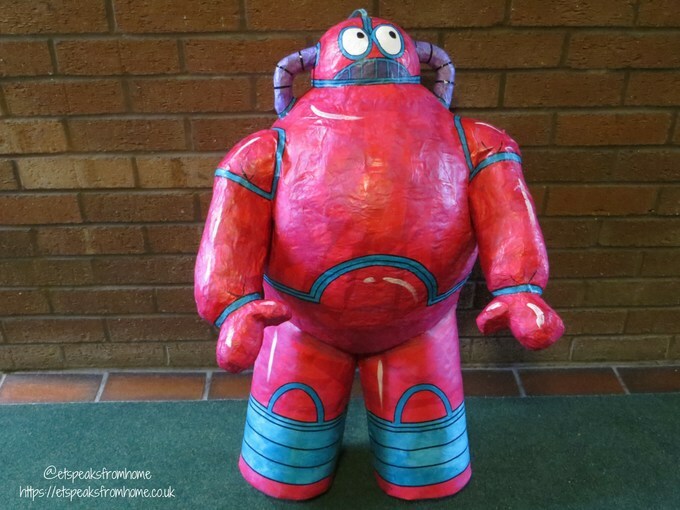 In mid-February, we were invited to join in Smallfoot watch-a-long party but unfortunately, the parcel didn’t turn up and was kept in store until I received a letter last week! Finally, six weeks later, we finally received the parcel and luckily, all the items were intact except a few perishable items! The Kid Who Would Be King is a 2019 fantasy adventure movie, written and directed by Joe Cornish and distributed by 20th Century Fox. 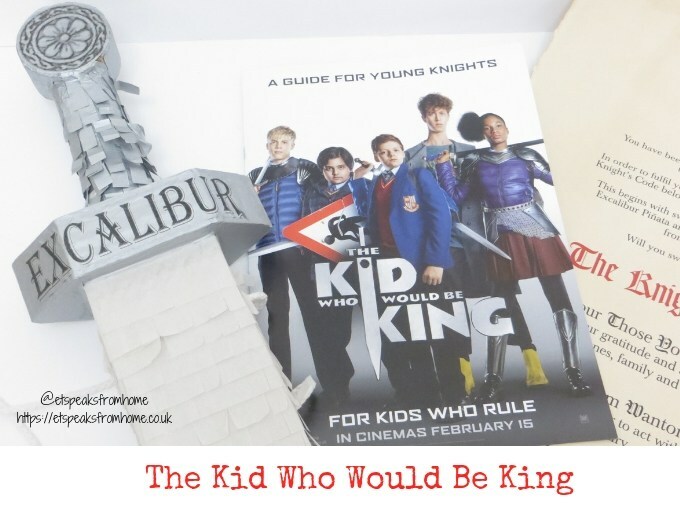 To celebrate the theatrical release of this movie, we were gifted a backpack, hoodie and a handmade Excalibur sword piñata which was filled with lots of chocolates! 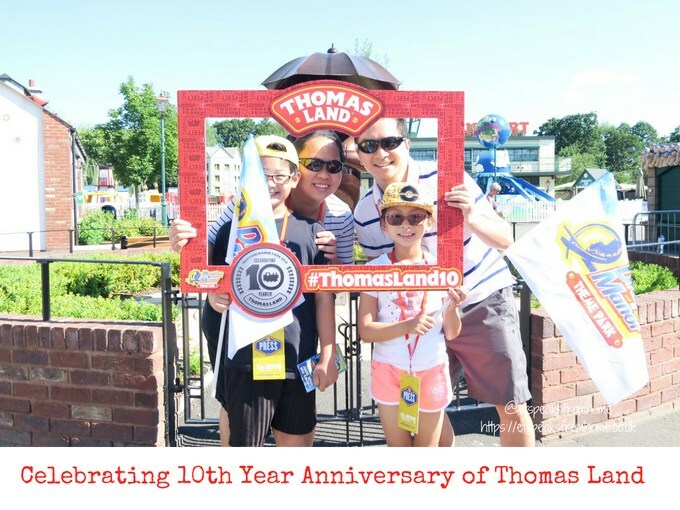 We were all super-excited! 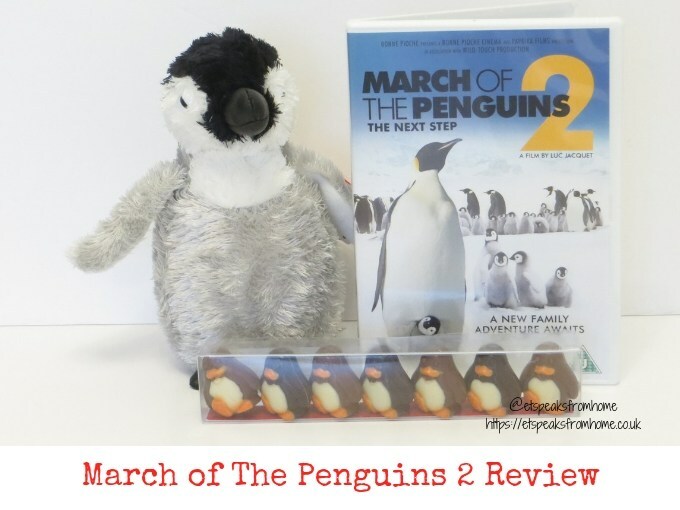 March of The Penguins 2: The Next Step is out now on Digital Download, DVD and Blu-ray. This amazing documentary film revisits the Emperor Penguins who call the frozen continent home. It tells a touching story of two penguins, a first-time father and newborn son, and the rest of their colony, as they face and overcome the almost unimaginable challenges of life in this hostile land told by Morgan Freeman. To celebrate the release of Hotel Transylvania 3: Summer Vacation, Jazwares has launched a range of new and classic characters including figures, playsets and mystery collectables for their fans to collect. 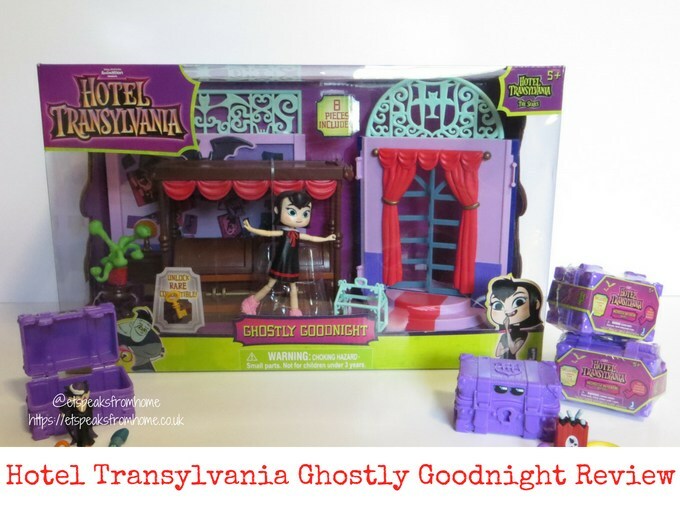 We were so excited to receive a Ghostly Goodnight playset, Drac’s pack and monster mayhem series collectables to keep us amused this summer holiday! Do check out my video review on these toys! 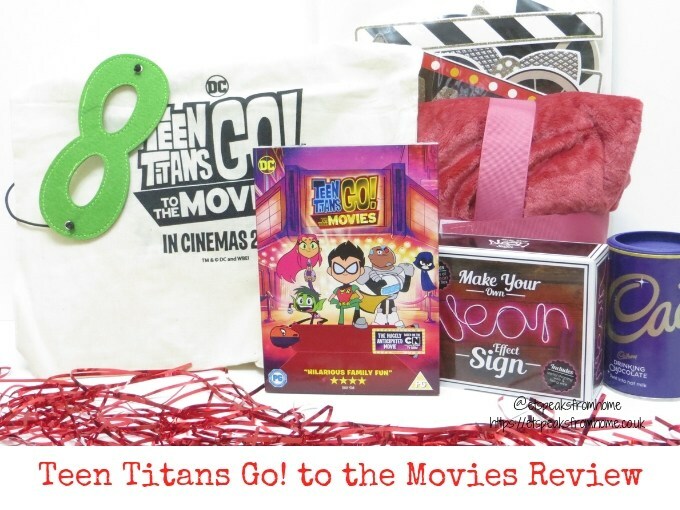 For the first time, the much-loved characters from the Cartoon Network series, Teen Titans GO! is on the big screen! Come and join Robin, Cyborg, Starfire, Raven and Beast Boy as they take on Hollywood! As many of you will know, it seems all the major superheroes out there are starring in their own movies these days – all but the Teen Titans. Robin is bound and determined to remedy that situation by becoming a star instead of a sidekick. With a few madcap ideas and a song in their hearts, the Teen Titans head to Hollywood to fulfil their dreams. Things soon go awry, however, when a supervillain plans to take over the planet, putting the very fate of the young heroes on the line. Both of my children were thrilled when they saw the trailer and now we all can’t wait to watch it! The wait is finally over! Everyone’s favourite family of superheroes Incredibles 2 is out now in UK cinemas from today! To celebrate the release of this heartfelt super-sequel, JAKKS Pacific has an extensive line of Disney Pixar toys that will bring the adventures of the Incredibles to life from action figures to feature dolls to playsets and vehicles! 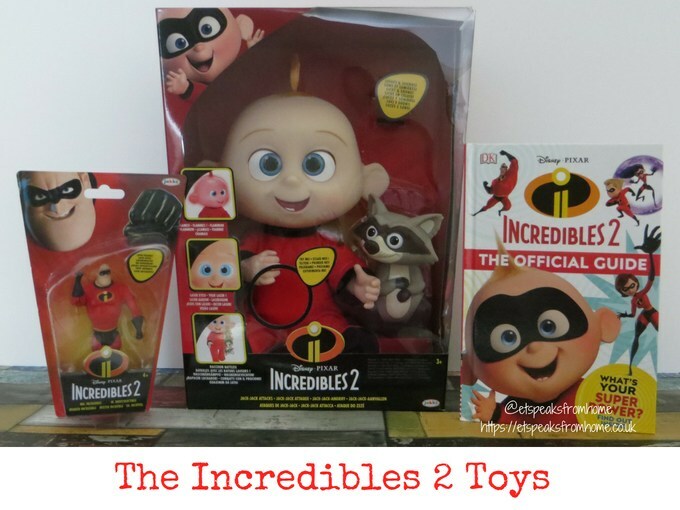 We have received these two amazing toys from JAKKS Pacific: Jack-Jack Attacks and Mr. Incredible action figure, along with the official guidebook from DK. Everyone’s favourite family of superheroes are back with Incredibles 2! Yesterday, we sat and watched The Incredibles in preparation for the new Incredibles 2 Disney Pixar movie launch on 13th July 2018. Our Posh Paws International Jack-Jack plush soft toy joined us too! 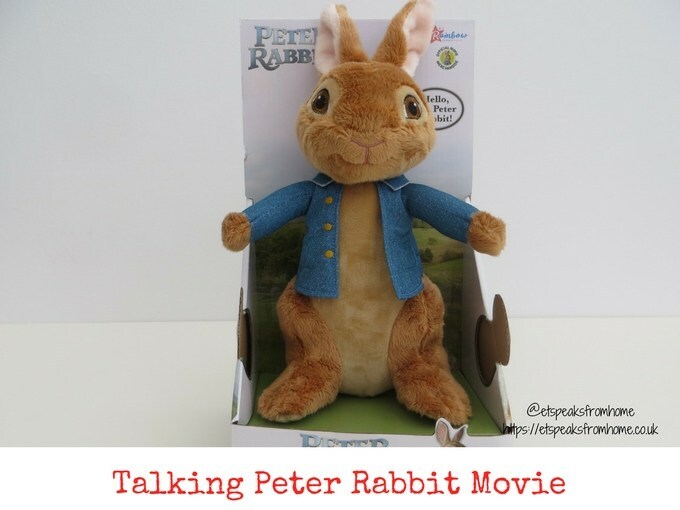 To celebrate the Peter Rabbit Movie UK release, I am so thrilled that Rainbow Designs is giving this Talking Peter Rabbit Movie Toy to one of my followers! This is a fun and cuddly Talking Peter Rabbit toy styled on the fun-loving character from the Peter Rabbit Movie. Real heroes don’t settle for bronze. To celebrate the upcoming release of Aardman’s prehistoric adventure EARLY MAN, in cinemas now, we are giving two of my followers the chance to win an amazing goody bag to ensure you will be the talk of the tribe! 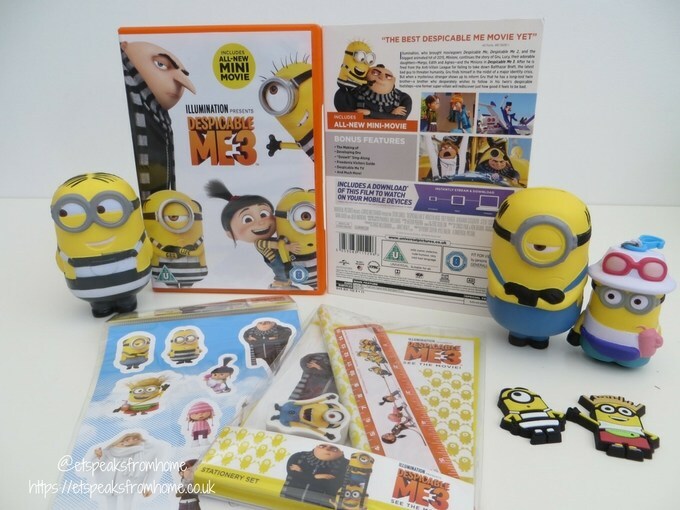 Despicable Me 3 is out now to buy in good DVD retailers and Amazon on Blu-ray, DVD and digital download. Despicable Me 3 is the sequel to Despicable Me 2, a 2017 American 3D computer-animated action comedy film produced by Illumination Entertainment for Universal Pictures. 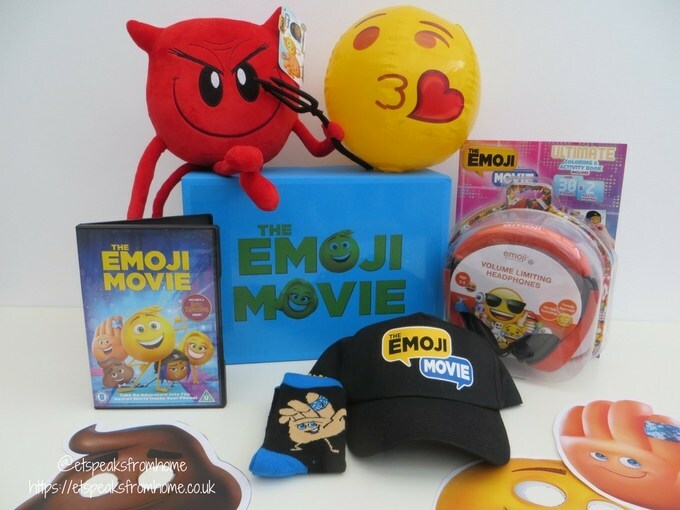 The Emoji Movie is out now to buy from all good DVD retailers and Amazon on Blu-ray, DVD and digital download. The Emoji Movie is a 2017 American 3D computer-animated science fiction-comedy film based on the trend of emojis. The Despicable Me 3 movie is out now in most cinemas! 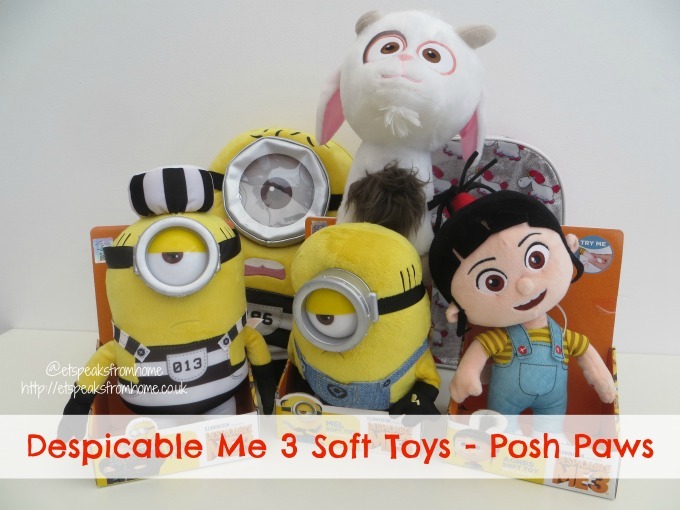 To celebrate this summer’s most favourite children’s movie, Posh Paws International have launched a range of official licensed Despicable Me 3 merchandise and we are so lucky to try them out! 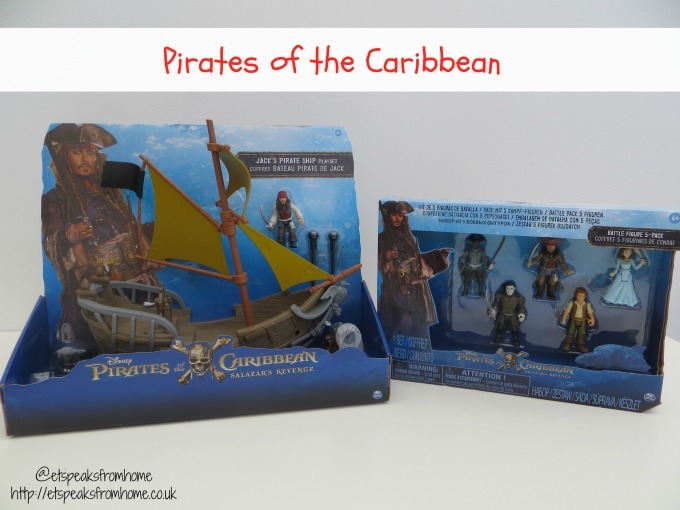 To celebrate the new release of the Disney Pirates of the Caribbean Salazar’s Revenge movie, Spin Master have launched a range of toys for their little fans! Now you can set sail with the pirates on Jack Sparrow’s pirate ship, the Ghost Ship or the Ghost Shark Attack with a range of figurines!